The National Thoroughbred Racing Association (NTRA), Daily Racing Form and the National Turf Writers and Broadcasters announced today that the 42nd annual Eclipse Awards will be broadcast live Saturday, January 19, on HRTV. Live coverage will also be available via Racetrack Television Network (RTN) and DRF.com. Television coverage will air from 8:00-10:30 p.m., ET (5:00-7:30 p.m., PT). The Eclipse Awards will take place at Gulfstream Park Racetrack and Casino in Hallandale Beach, Fla.
For the second consecutive year, the Eclipse Awards will be hosted by Jeannine Edwards of ESPN. HRTV will also televise live the announcement of Eclipse Awards finalists during a special edition of “Race Day America” on Saturday, January 5, at 12:00 p.m. ET (9:00 a.m. PT). Eclipse Awards are bestowed upon horses and individuals whose outstanding achievements have earned them the title of Champion in their respective categories. Eclipse Award voting takes place among designated representatives of the NTRA, DRF and the National Turf Writers and Broadcasters. Awards also are given to recognize members of the media for outstanding coverage of Thoroughbred racing. 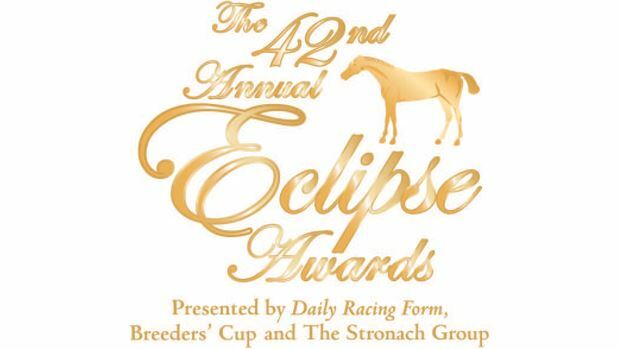 The Eclipse Awards are presented by Daily Racing Form, The Stronach Group and Breeders’ Cup and produced by the National Thoroughbred Racing Association (NTRA). Official Partners of the Eclipse Awards include Adequan, Besilu Stables, Keeneland, Kendall-Jackson, NOA Watches and Roberts Communications. The official hotel of the Eclipse Awards is the Westin Diplomat Resort & Spa. Tickets to the Eclipse Awards are available for $375 each. Order forms for tickets are available at. http://ntra.kinsta.com/en/eclipse-awards/2012-2013-awards/. Hotel Reservations at the Westin Diplomat can be made at https://www.starwoodmeeting.com/Book/eclipseawards. For additional information, please contact Michele Ravencraft of the NTRA at mravencraft@ntra.com.